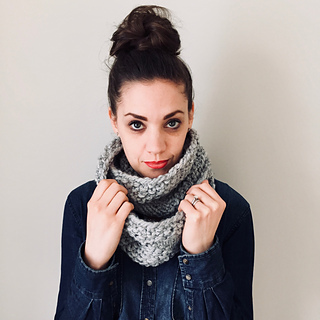 Snowsquall is a textured infinity cowl that will keep you warm in the most wicked weather. 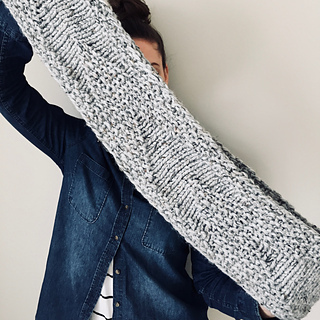 The easy-to-follow chevron texture pattern adds just enough interest to keep the pattern firmly in the “TV knitting” category without being boring. 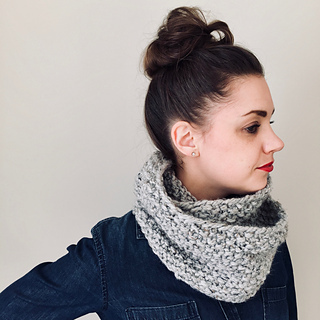 This is a quick knit that you will want to wrap around your neck the moment it is off the needles! 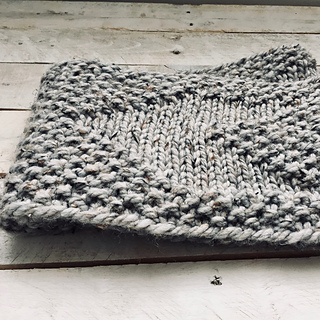 Shown in Lion Brand Wool-Ease Thick & Quick (82% Acrylic, 10% Wool, 8% Rayon/Viscose; 97 m/106 yd per 170 g/6 oz skein) in colour Grey Marble (154). 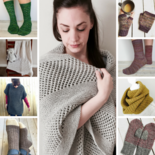 *A shorter needle could be used if necessary, as long as it can comfortably accommodate the number of stitches. 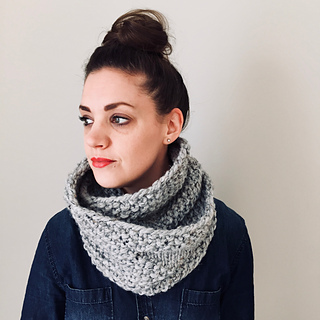 This cowl is worked in the round. 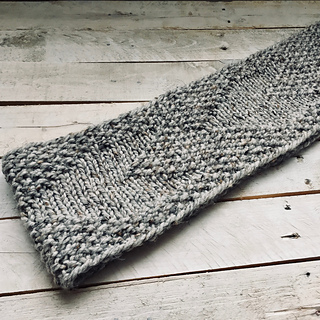 The seed stitch border allows for a seamless transition between rounds, and the Latvian Bind Off perfectly mirrors the Long Tail Cast On, making both edges of the cowl look identical.